The Bay of Kotor, known also as simply Boka, is a bay in the heart of the Adriatic Sea in southwestern Montenegro. The Bay of Kotor is an incredible travel destination for a number of reasons, but its biggest draw is its magnificent scenery. Although it is not technically a fjord, it resembles one, with green mountains providing an epic backdrop to the blue waters of the bay. The Orjen Mountains to the west and the Lovćen mountains to the east surround this beautiful bay. Kotor Bay can be divided into four main gulfs connected by narrower channels, each of which is worth visiting. The narrowest section at the Verige Strait is only 340 meters (1115 feet) wide. The outermost part of the bay is the Bay of Tivat. At the main entrance to the Adriatic lies the Bay of Herceg Novi. The inner bays are the Bay of Risan to the northwest and the Bay of Kotor to the southeast. 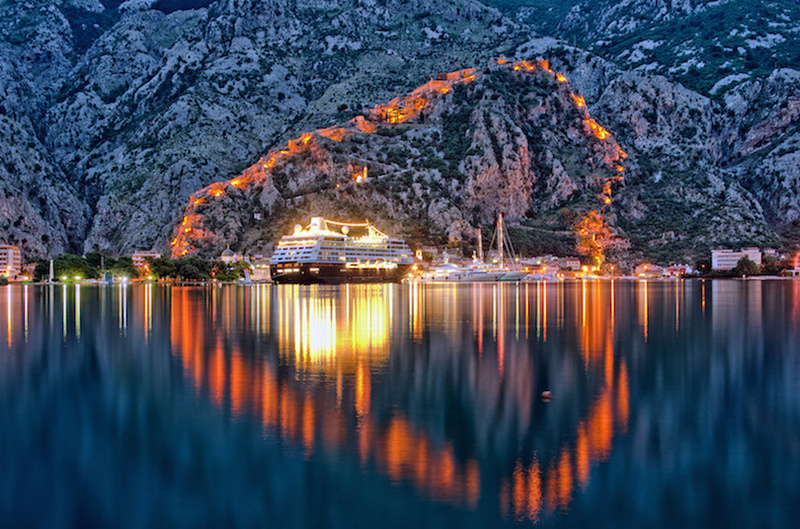 Kotor Bay is a destination rich with historical significance. Many of the cities, towns and villages surrounding the bay itself are medieval in nature and perfectly preserved. 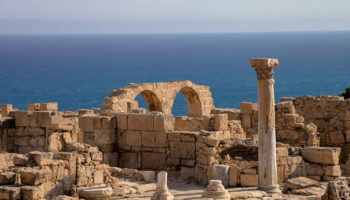 This attracts history and architecture enthusiasts from around the world who can tour countless structures from antiquity. The Bay of Kotor also boasts a number of Orthodox Christian and Catholic churches and cathedrals, many of which serve as a kind of mecca for religious scholars and pilgrims. To top it all off, the Mediterranean climate of this wonderful destination means that hiking, boating and other outdoor activities are possible throughout the year. Just minutes from the city of Stoliv is a divided city known as Lastva. The upper half of the city is where most visitors find themselves, thanks to its medieval charm. Called Gornja Lastva, the upper section of the city is filled with unique architecture. Since the settlement is nearly 300 meters (1,000 feet) above sea level, it is an incredible spot to get a vantage point of the bay and snap some amazing photos. Stone walls reveal small homes from the 18th century as well as ruins dating even further back in time. The man-powered olive mill is still in operation, and visitors can watch it in action to see the olives processed for consumption in the town as well as for export. The biggest attraction in Gornja Lastva is St Mary’s Church, or Crkva Sv Marije, which was built in the 15th century. Services are still held in the church each week, and if the parish priest happens to be around he can take you on a tour through the structure and show you the fantastic Italian paintings that come from the Renaissance. 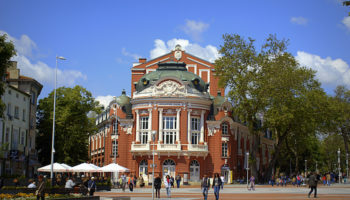 The lower part of the city, or Donja Lastva, is less traditional, but it still offers a tourist office and several local restaurants. This is another divided village, similar to many of the other coastal settlements in the Bay of Kotor area. Morinj is divided between Gornji Morinj, the upper half, and Donja Morinj, the lower half. History buffs may recognize the sad past of Morinj, which is where Croat prisoners of war were held in the 1990s. 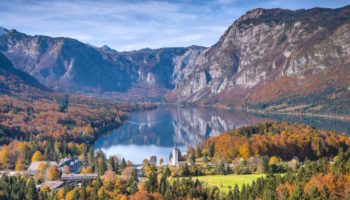 However, that is far from the focal point of this Bay of Kotor destination, and today’s visitors are most interested in the scenery and recreation that Morinj has to offer. A definite highlight of a stay in Morinj will be the beach, which is mostly sheltered. This makes it safe even for unsure swimmers, and it protects swimmers and sun worshipers alike from strong winds. An iconic landmark in Morinj is the St Petka Church, known to locals as Crkva Sv Petke. Its silver dome is easy to spot, creating a reflection whenever the sun hits it. Yet again, visitors to the Bay of Kotor will find themselves in a divided city. Stoliv is made up of two parts, the lower and the upper, and both are worth exploring. If you’re drawn to the beach, then be sure to spend time in Donji Stoliv. This is the coastal section of town, and it features a collection of traditional stone houses just steps from the water. 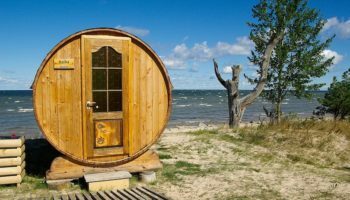 For an unusual but unforgettable accommodation option, some of these local homes offer camping right in their yards, letting you sleep under a canopy and listen to the sounds of the tides changing as you fall asleep in the fresh air at night. A short hike of just 30 minutes will take you from the coastal part of Stoliv to the upper part. In Gornji Stoliv, homes are nestled among olive and fig trees. The highlight of this section of Stoliv is the Crkva Sv Ilije, a 15th century church that honors Elijah. Tourists are few and far between here, particularly outside of the summer months, so it can be a fantastic way to experience the real Montenegro away from the crowds. Another of the four gulfs that makes up the Bay of Kotor is Tivat. The name Tivat may be recognizable because it is home to the region’s only major international airport. Even if you won’t be flying in and out of Tivat, you might want to check out this destination. What was once an old naval base has recently transformed into a sophisticated, elegant and upscale marina. You can walk along the edge of the marina, soak in the sun and admire dozens of yachts owned by the rich and famous who come to Tivat for its climate and atmosphere. One of the things that Tivat is best known for today is its culinary scene. As a coastal destination, seafood is always on the menu. Plus, as a city in Montenegro, you can expect to dig into culinary specialties like lamb, polenta and trout. To cater to the upscale international travelers at the marina, however, Tivat also offers an array of international cuisine with an emphasis on fine Italian and French dining. Just 5 km (3 miles) away from Kotor, you’ll come across the charming town of Prčanj. Accessible only via a one-way road, Prčanj is far off the beaten track, making it a treasure worth exploring. Many other notable figures throughout history have thought the same, including dozens of successful ship captains of the past who opted to retire there. Famously, Austrian Emperor Franz Josef visited Prčanj, where he was greeted and welcomed by the wealthy naval captains who called the town home. In Prčanj, you can tour numerous religious structures, including the Orthodox St. Peter’s Church and the whopping Birth of Our Lady church that appears to be a bit outsized for such a small town. Construction of this massive church started in 1789 but was not completed until 1908. If you’re fascinated by the small town’s naval history, you can also take a look at the impressive collection at the Nautical Museum. 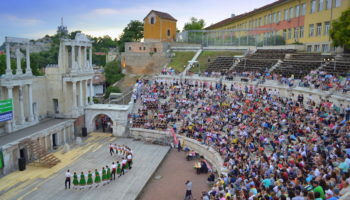 Keep in mind that while Prčanj doesn’t have a lot in the way of major tourism attractions, that is all part of its appeal. 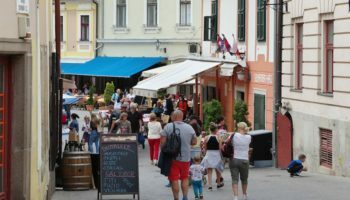 Visiting Prčanj means having the chance to stroll through one-way streets with locals, pick up inexpensive souvenirs at the local post office and dine or drink with residents at the handful of tiny restaurants in the area. There are two amazing islands off the coast of Perast. The Island of Saint George (Ostrvo Sveti Ðorde) is one of the isles, the other being Our Lady of the Rocks (Gospa od Škrpjela). Unlike Our Lady of the Rocks, it is a natural island. The island contains the Saint George Benedictine monastery which was first mentioned in 1166 in documents describing the consecration of the new, second Romanesque church of St. Tryphon in Kotor. In 1571, the pirate Karadoz burnt down the abbey as well as the whole town of Perast. The church was repaired in 1603 but was heavily damaged again in an 1667 earthquake when the ceiling and apse collapsed. Following this catastrophe, a simple church was built. In 1812, for about a year, the abbey was taken over by the French who were later expelled by the inhabitants of Perast from both the Fortress of St. Cross and the abbey. In 1814, the abbey was taken over by the Austrians. The island also contains an old graveyard for the old nobility from Perast. It remained a burial place until 1866, when a new graveyard was built in the northern part of the town. 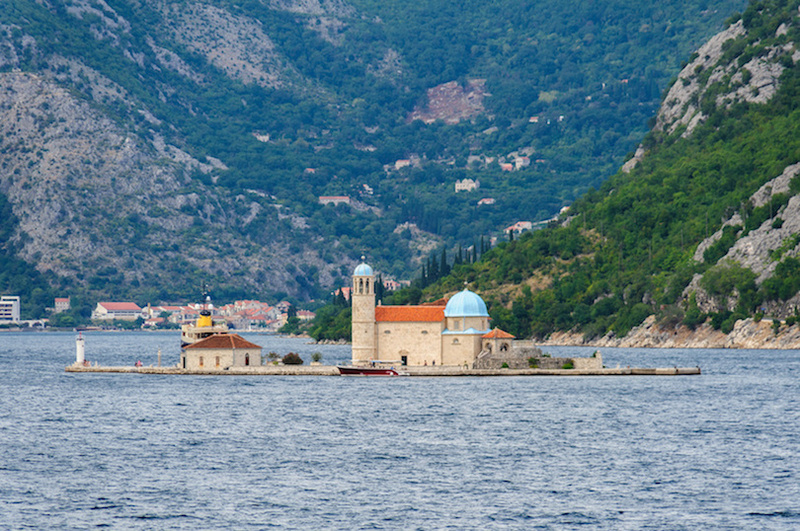 Our Lady of the Rocks is the other islets off the coast of Perast. The island was artificially created and contains a Roman Catholic Church. According to a legend, after finding the icon of Madonna and Child here on July 22, 1452, seaman would lay a rock in the sea after returning from a successful voyage. Over time, the islet gradually emerged from the sea. The custom of throwing rocks into the sea is alive even nowadays. Every year on the sunset of July 22 local residents take their boats and throw rocks into the sea. The Church of Our Lady of the Rocks was built in 1632. The church contains 68 paintings by Tripo Kokolja, a famous 17th-century baroque artist from Perast. His most important painting, ten meters long, is The Death of the Virgin. There are also paintings by Italian artists, and an icon of Our Lady of the Rocks, by Lovro Dobricevic of Kotor. Taxi boats regularly go to the island for around €3. One of the inner gulfs that make up the Bay of Kotor is Risan. If you love history, then Risan should absolutely make its way onto your itinerary. That’s because Risan is the oldest of all the settlements in the Bay of Kotor area. Risan dates all the way back to the third century B.C., when it was a fortress of the Illyrian kingdom. When the Romans invaded and took the region for their own, staggering manors went up right along the coast. The hub of Risan is the central square known as Trg 21 Novembra. It is here that you’ll find charming cafes and small shops catering to locals and tourists alike. Around the corner, you can spot two Orthodox churches built in the 18th century: St. Peter and St. Paul. Of course, Risan is a seaside town, which means that it offers several small beaches that are ideal for families, swimming or just tanning in the enviable climate. The Luštica Peninsula is the piece of land that separates the Bay of Kotor, and more specifically the gulf of Tivat, from the rest of the Adriatic Sea. Until recently, this peninsula was off the tourism radar, and much of the land is still made up of olive groves and small, traditional villages. 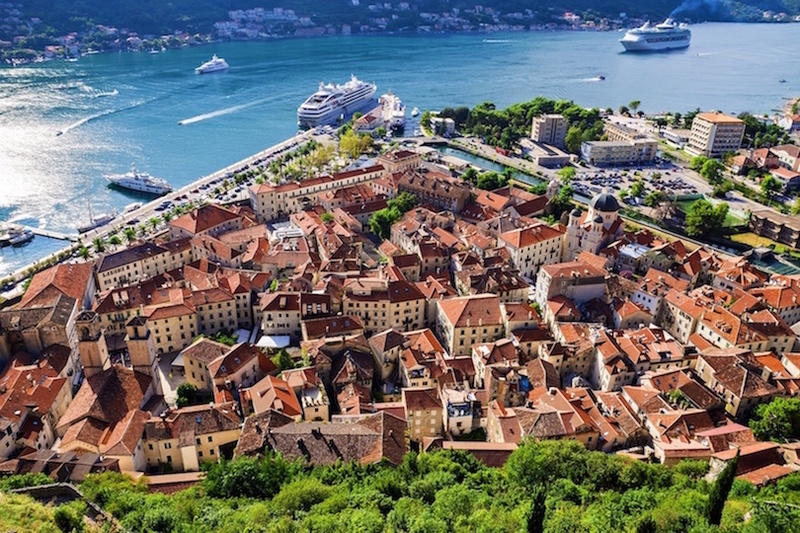 As development among the Bay of Kotor increases, however, plans are being made to develop much of the coastal parts of the Luštica Peninsula. In Krtoli, a major destination in the peninsula, you will find a number of secluded pebble beaches that are ideal for swimming, soaking in the sun or just enjoying the views over the sea. Krtoli also offers fantastic views of both St Mark’s Island and Our-Lady-of-Mercy, which can make for an interesting day trip if you’ve got the time. West of Krtoli is Bjelila, a fantastic representation of an authentic fishing village in Montenegro. Largely undeveloped and free from hordes of tourists, Bjelila is the place to go if you want to see tiny stone houses right on the shoreline or dig into freshly caught seafood sold at a fraction of the hotel restaurant prices typical of the area. On the western tip of the Luštica Peninsula is Rose, another charming fishing village. Hikes in the area take you to spectacular vantage points that offer views of the Bay of Kotor as well as the Adriatic Sea in one panoramic vista. For most of the year, Rose is a quiet destination, but in the summer you’ll come across greater numbers of tourists who come for the affordable accommodation and the authentic atmosphere. There are no hotel resorts in Rose, but there are stone village homes that you can rent a room in for a night or two. Along the southern coastline is a series of clean beaches that are popular with day trippers from Herceg Novi. Dobrec is only accessible by sea and boast one of the cleanest beaches in all of Montenegro. The large pebbly beach of Zanjice sits in a sheltered cove below the olive groves attracting plenty of people in the high season. Further east at the base of the peninsula ad near the main town Radovici, lies the sandy beach of Plavi Horizont (Blue Horizon). Encircled by green pinewoods, this semi-circular shaped beach is probably one of the most beautiful in all of Montenegro. Just over an hour’s drive from the city of Kotor is the Lovćen National Park, which is centered around Mt Lovćen. 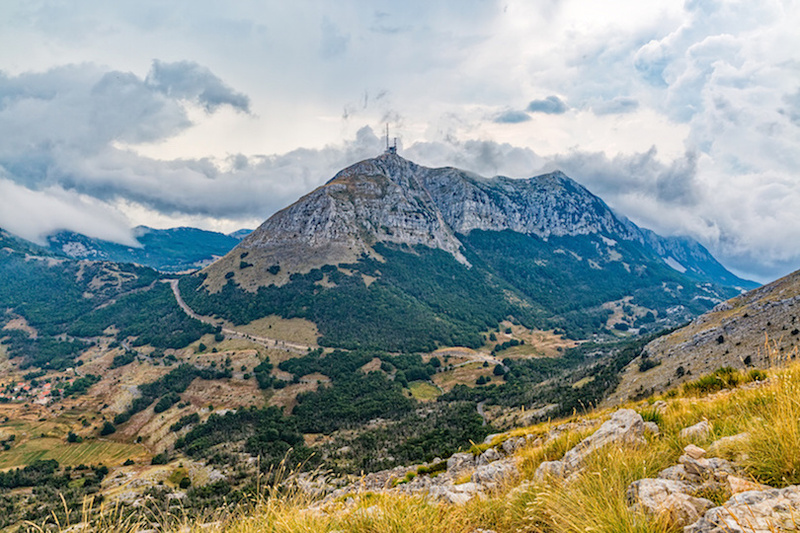 The black mountain that gave Crna Gora (Montenegro) its name is more than just a tall peak. It truly is a part of the nation’s culture and identity, and it can be compared to Mount Olympus in Greece in terms of historical significance. The majority of Lovćen National Park is wooded, with lush greenery that only looks better after a brief rain. 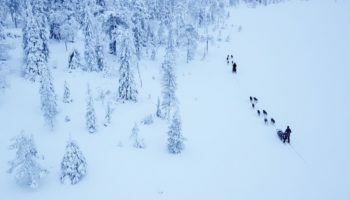 There is an incredible array of wildlife here, which includes countless reptiles, brown bears, wolves and nearly 300 different species of birds and butterflies. Bring your binoculars, because there is a good chance you could spot an imperial eagle or a peregrine falcon on their migration route to Lake Skadar. On the top of the mountain lies the stunning mausoleum where of Montenegrin ruler and poet Petar II Petrović Njegoš is buried. The dramatic building is reached by a hike up 461 steps on foot from the parking lot. Inside the mausoleum is a large granite statue of Njegoš and a darkened room that contains his tomb. You can see more than half of Montenegro from the summit, from the Bay of Kotor to Lake Skadar to Podgorica. On a clear day, even Albania and Croatia are visible. For those who appreciate outdoor recreation, Lovćen National Park is a dream come true. You will find miles of trails that are unpaved but well marked, making it suitable for a casual hike or a serious mountain biking expedition. Bikes can be rented on a daily or hourly basis in the park, and in the winter snow means that skiing is also a possibility. 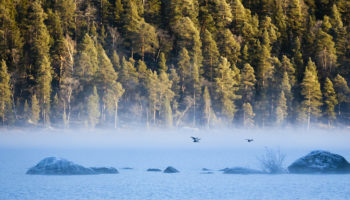 Overnight camping is permitted, but many visitors find that a single day on the trails is ample time to explore the scenery, flora and fauna of the park. You should aim to start or end your day at Lovćen National Park in the area of Ivanova Korita. This is the central hub of the park, and it is where you will find the park’s visitor center. This is a fantastic spot to pick up a map and a guidebook in English, and its also the best spot to learn more about camping or accommodation options in the area. If you didn’t pack a picnic lunch to enjoy in the park, Ivanova Korita even offers up a handful of casual eateries serving up local and international favorites. At the entrance of Kotor Bay is Herceg Novi, which translates as New Castle. Herceg Novi is located right at the foot of Mount Orjen, and it is a scenic, historic but pristine alternative to some of the larger coastal cities in the region. Herceg Novi dates back to the 14th century, and in that time several empires and cultures have inundated and left reminders of their presence. Between the 15th and 18th centuries, the area was known as Castelnuovo, and it was passed through the hands of the Ottoman Empire, the Albania Veneta and even the Republic of Venice. This turbulent history, however, has created an amazing diversity of cultures and architecture. In the Stari Grad, or Old Town, you will be treated to a variety of historic and cultural attractions. St. Jerome’s Church, also known as Trg Mića Pavlovića, is a spectacular 19th century Catholic building. Nearby, the Archangel Michael’s Church is the Orthodox equivalent and was built in the same time period. Also of interest to history lovers will be the 17th century clock tower that once perched on the city’s main gate, the Kanlu Kula fortress and the 16th century Spanjola fortress. Just outside of the city is the Savina monastery, which dates back to the 14th century and offers some of the most amazing views imaginable over the bay. If you want to get active and enjoy the wonderful climate in Herceg Novi, you’ll have plenty of options. Several pebble beaches beckon, and during the summer there are crowds of swimmers enjoying the waters of the Bay of Kotor. Walk along the promenade to enjoy a nice breeze, and then stop at Igalo for the town’s famous mud therapy spa treatments. At first glance, it is hard to believe that Perast is actually a small town in Montenegro. The residents number in the hundreds, and there is just one main street that runs through Perast. Nonetheless, it is an amazing destination that looks like it belongs in Venice, Italy, rather than in coastal Montenegro. Almost all of the structures in Perast were built in the baroque style, and that cohesive look is what makes the destination so appealing. You’ll have no trouble walking around to see all that Perast has to offer, since the town is on such a small scale. However, that doesn’t mean there isn’t a lot to explore. The town boasts a staggering 16 churches and 17 impressive palazzos, showcasing how important this small town once was. 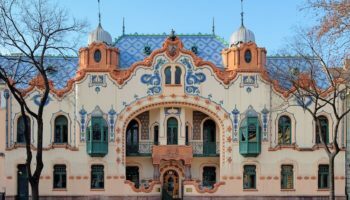 A few of the grand homes are abandoned, and the ruins can be toured, although celebrities and royals alike are reinvigorating the town by buying and restoring some of these spectacular residences. The center of the town, and its tallest tower, is St Nicholas’ Church. For a small fee, you can climb to the top of the church and take photographs, which is worthwhile as the views are spectacular and span the entire town. From here you also have a good view of the two tiny islands of St. George island and Gospa od Škrpjela (Our Lady of the Rock) that are located just offshore. The second of the four gulf destinations in the Bay of Kotor is Kotor itself. In recent years, the city has seen a steady increase in tourists, many of them coming by cruise ship. Kotor is defined by its ancient city walls, which were constructed first in the 9th century and eventually completed in the 18th century. 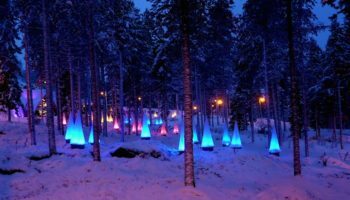 While it is worthwhile to see and even climb up the city walls during the day, by night they transform into a glowing display that gives the entire town a stunning aura of light. You’ll be delighted to start your time in the city by strolling along the winding lanes of Kotor’s Stari Grad (Old Town), which are actually paved with marble mined from the local area. Entirely enclosed by ancient walls, the town is accessed by four gates: The Main Gate, along the Bay, the North Gate, the South Gate, and a smaller New Gate. As you wander, make sure you keep a map on hand, because the city is known for its maze-like street grid that even locals get lost on. Around every corner is a new attraction and a building dating back hundreds of years, making it like a treasure hunt for history enthusiasts. There are no cars allowed in the Stari Grad. 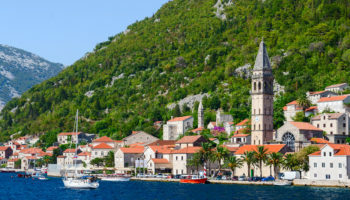 Just some of the Stari Grad’s most notable attractions include the 13th century Cathedral of Sveti Tripun, the 13th century Church of Sveti Luka, the 12th century Church of Sveta Marija and the 19th century Napoleon’s Theater. You’ll also want to leave time to explore St Tryphon’s Cathedral, which was built in the 12th century but also boasts newer baroque bell towers. The interior of the cathedral is grand and Romanesque, and visitors can take a tour of the structure to admire religious icons and art. If you’re interested in the history of Kotor and its nautical roots, then be sure to see the Maritime Museum. Housed in a palace from the 18th century, the museum boasts an extensive collection of artifacts as well as the earliest remaining photographs showing Kotor and its development over time. Looming above Kotor is Mount Sveti Ivan, one of the lower peaks of the Lovcen massif. If you feel energetic enough you can make a 1200-meter (4000-foot) ascent via 1350 steps up the fortifications. From St John’s fortress you will be rewarded by a magnificent view of Kotor and the bay.